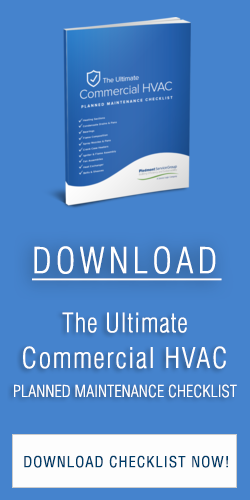 Every commercial HVAC system has an expected lifespan. In most cases, a quality system should last at least 20 years. With a high level of quality maintenance and some investment in retrofitting, perhaps 40 or even 50 years may be possible. But, eventually, replacement becomes necessary. It’s important for commercial building owners to recognize when that time is coming so they can prepare ahead for the capital expenditure to come. The key is planning ahead and avoiding the emergency replacement, which can be a budgetary nightmare. Loud noises from air conditioners or furnaces are not only concerning to system health, but also annoy tenants and prevent them from working efficiently. One of the first signs of unhealthy HVAC equipment is excessive clicking, humming, or clanking. While failing HVAC systems tend to make very disruptive sounds, not all noises mean a system failure is imminent. Consider bringing in an HVAC technician to investigate the noises, determine the root cause, and help decide whether to modify your existing HVAC system or replace the system to create a comfortable environment. Well-functioning HVAC systems deliver consistent temperatures and controlled humidity. As heating and cooling systems age, they may run less efficiently, and cycle on and off too frequently or not frequently enough. Complaints about high humidity levels or large temperature swings could indicate problems with commercial HVAC components, including: insulation, air ducts, sensors, and controls. Temperature fluctuations should be taken seriously as they can be the beginning of a more complex issue. If your commercial building is experiencing inconsistent highs and lows, it may be time to retrofit some HVAC components, or it could be a sign of an imminent replacement. You expect a commercial HVAC system to need repairs occasionally as they go through ordinary wear and tear over the years. A planned maintenance schedule is the most efficient and cost-effective way to get in front of occasional repair needs for a heating and cooling system and extend the life of HVAC components along the way. However, malfunctioning parts or leaks can cause damage to components that may not be immediately apparent. 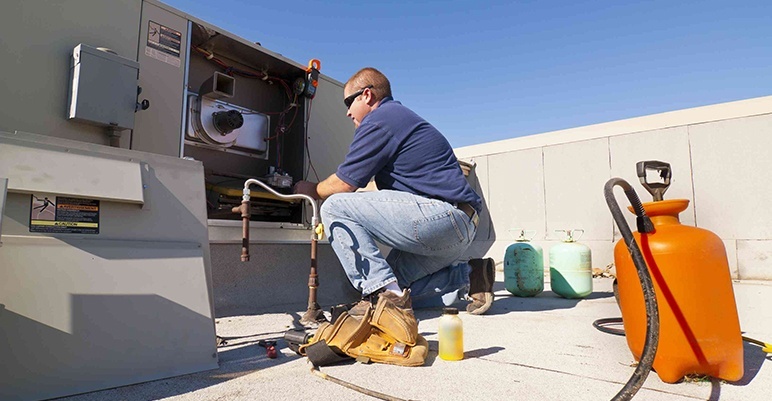 A serious problem might be brewing if a commercial unit is in need of HVAC repair more than once in a single season. If you find your HVAC technician having to make visits more frequently, it might be time for a new HVAC solution. Utility bills may rise suddenly for any number of reasons. Although facility managers can’t control rate increases or changes in the weather, there are ways to compensate for consistently rising utility bills that can be traced back to inefficient commercial HVAC system operation. Reviewing historical data on usage patterns and weather conditions can provide insight into whether or not your HVAC system is the reason behind higher bills. If your HVAC system is the culprit, a variety of retrofit options are available to ensure that a building is operating at peak energy efficiency to reduce utility bills. However, in some cases, the most cost-effective option is to replace the aging system with a newer, more energy efficient model. Every building owner or facility manager must someday make the decision to repair, retrofit or replace a commercial HVAC system. While it’s tempting to procrastinate and delay these investments until a later date, waiting too long could potentially result in emergency repairs that end up being more expensive. Sometimes, the best option is to replace the HVAC system with a modern, high efficiency system that’s primed to last 20 more years or more.